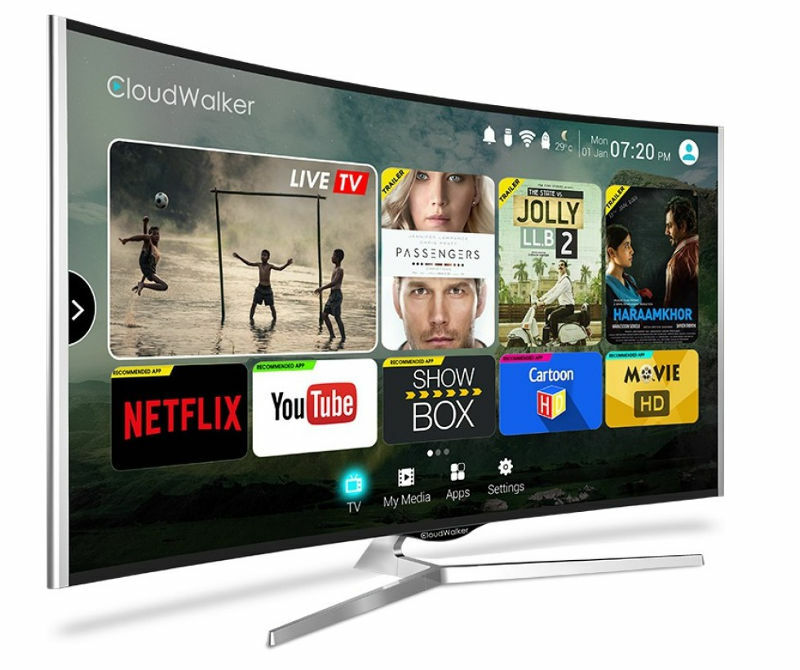 CloudWalker Streaming Technologies, a tech start-up has launched Cloud TV with its own user Interface powered by a CDE (Content Discovery Engine) which curates digital content available on the internet on Free, Premium or Freemium basis and also helps discover Apps that can be viewed on TV. The unique UI offers Screen-Shift method to toggle between Live TV and Digital TV. These TVs are available from 24 to 65 inches in HD Ready, Full HD and 4K resolution models. 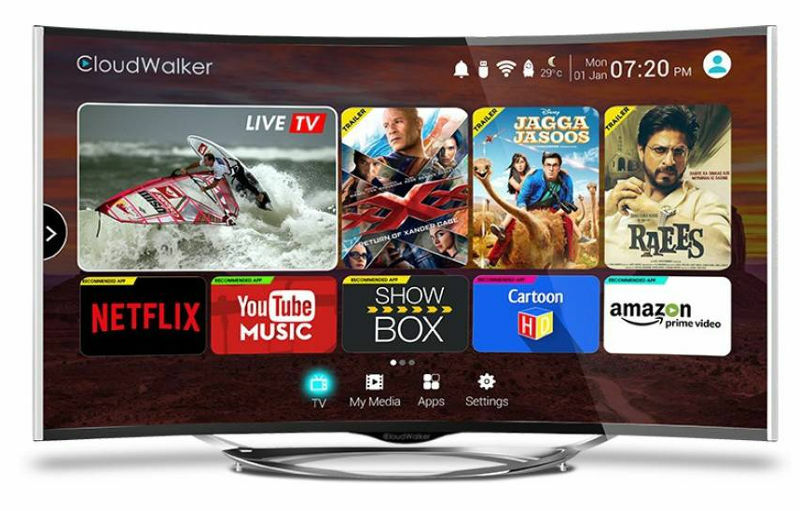 There are also curved 4K Curved TV models in 55-inch and 65-inch models. Content Discovery Engine offers a dual experience of watching Live TV & streaming digital content on the same screen (side-by-side) without having to switch between ports. Easy graphical navigation from the home screen frees you from complicated menus or from changing inputs. SUPER REMOTE has an inbuilt Air mouse plus IR function to quickly navigate all functions of the TV like switching channels, playing content, browsing the internet and other functions with a flick of your wrist. Hotkeys lets users can access their favorite functions at a single press. CShare App smartly controls & connects Android or iOS mobile phone or tablet to the TV, enabling users to play videos, music & photos from the mobile gallery on TV. 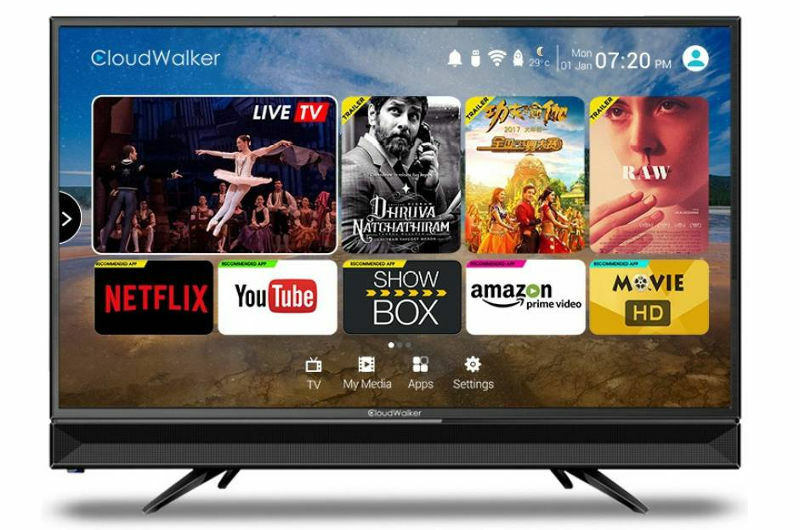 CloudWalker Cloud TVs are exclusively available from Flipkart starting today. There are also several offers for the buyers, including No Cost EMI up to 9 months with Bajaj Finance and credit cards, exchange offer, 1 year additional warranty, Up to Rs. 20,000 off on exchange of old TVs on purchase of ‘Cloud TV’ range. Check out the pricing below. Next Next post: Apple continues legal battle with Qualcomm, files new lawsuit in U.K.